AnimatedGradientView is a UIView subclass which makes it simple to add animated gradients to your iOS app. It is written purely in Swift. Further documentation available as part of this blog post. [x] Easily create animated or static gradients. [x] Use hex values, RGB values or names to specify colors (including color names specified in asset catalogs on iOS 11 or higher). 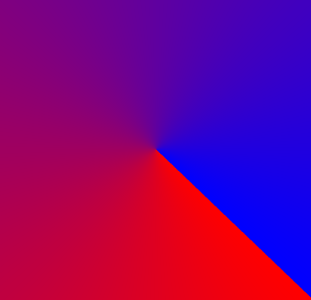 [x] Supports animating between gradients with a varying number of colors. [x] Supports axial, radial and on iOS 12, conic gradients. [x] Auto-animate or animate manually using the startAnimating and stopAnimating functions. [x] Loop animations with the autoRepeat property. You’ll also need to remember to import the framework using import AnimatedGradientView. AnimatedGradientView is written in Swift 4.2 and is available on iOS 8 or higher. From the macOS Terminal run carthage update --platform iOS to build the framework then drag AnimatedGradientView.framework into your Xcode project. The colors property is actually an array of UIColor arrays. 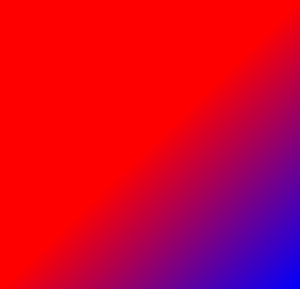 If further UIColor arrays are specified then animation will occur between them. Using the direction property it also possible to define the direction of the gradient. AnimatedGradientView supports three types of gradients which can be set using the type property. This is your standard linear gradient blending between color stops from the start point to the end point. The gradient appears to radiate outwards from the start point (at the center) towards the end point in a circular fashion blending between the color stops from the start point to end point as with a linear gradient. This type of gradient is only available from iOS 12 onwards. 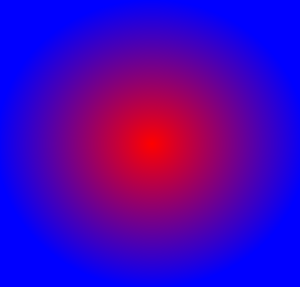 It is similar to a radial gradient in that the start point represents the center of the circle and the end point represents a point on the outer edge. However, whilst a radial gradient blends between color stops from the start point to the end point (from the center to the outer edge), a conic gradient places the color stops along the outer edge of the circle blending between the color stops from 0 degrees to 360 degrees. AnimatedGradientView is available under the MIT license. See the LICENSE file for more info. AnimatedGradientView – Powerful gradient animations made simple for iOS. Cheats – Retro cheat codes for modern iOS apps. Connectivity – Improves on Reachability for determining Internet connectivity in your iOS application. FeatureFlags – Allows developers to configure feature flags, run multiple A/B or MVT tests using a bundled / remotely-hosted JSON configuration file. Skylark – Fully Swift BDD testing framework for writing Cucumber scenarios using Gherkin syntax. TailorSwift – A collection of useful Swift Core Library / Foundation framework extensions. TypographyKit – Consistent & accessible visual styling on iOS with Dynamic Type support. Updates – Automatically detects app updates and gently prompts users to update. Config Validator – Config Validator validates & uploads your configuration files and cache clears your CDN as part of your CI process. IPA Uploader – Uploads your apps to TestFlight & App Store. Palette – Makes your TypographyKit color palette available in Xcode Interface Builder.